From now until February 2014, guests at the luxurious Duane Street Hotel will be encouraged to experience Tribeca in a whole new way through exploring the neighborhoods socially responsible businesses. Cultures of Love + Conscious has partnered with Duane Street Hotel to provide its guests with a “guide” to some of our favorite spots in what we are calling a “Socially Conscious Skip Through Tribeca.” Imagine if every hotel in NYC committed to getting involved by highlighting, supporting, and working closely with local businesses that are doing GOOD! 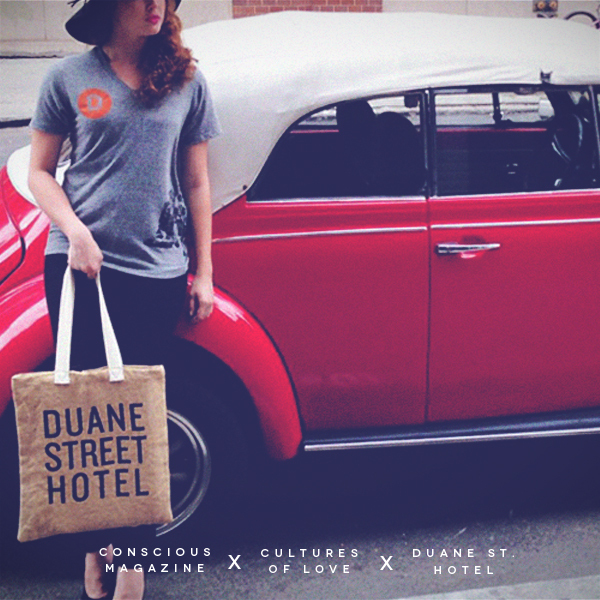 In addition to supporting our favorite spots in Tribeca, guests can give back by purchasing a Duane Street Hotel Fashion For Autism T-Shirt and tote bag created by Cultures of Love & Design Industry 5 and printed by Spectrum Designs Foundation, a Long Island non-profit that supports those affected by Autism. These special mementos are for purchase in all 45 rooms. The exclusive guest swag is eco-friendly, fair trade, printed in the USA with charitable donations going to the Spectrum Design Foundation. We are thrilled that the Duane Street Hotel has invited us in to their rooms and introduced us to its community of savvy travelers. We can only hope that this will encourage other hotels to follow their lead. 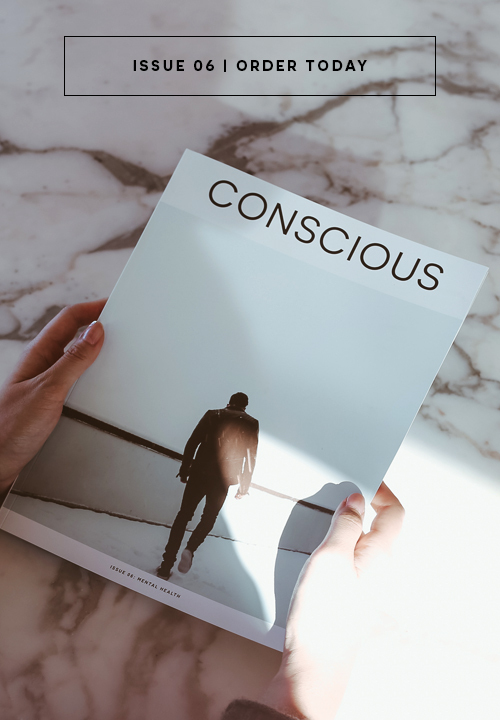 The #ConsciousProgram is only the beginning of a conversation; one that challenges other hotels to think about how to engage their guests and provide them with a great experience in way that contributes to programs/businesses interested in improving the community and creating social change! Throughout the life of this program, the Duane Street Hotel will host various networking events for charity, along with a collaborative month newsletter highlighting the conscious culture in NYC and explaining how guests can get involved. To get updates on monthly events and happenings with the #ConsciousProgram, please continue to follow Conscious on Twitter and Facebook or subscribe to Cultures of Love. At Conscious, we set out to tell stories that ignite conversation about doing good locally and globally. You can read more stories like this when you subscribe to Conscious Magazine and sign-up for Conscious weekly updates.